Massive internet improvements at Bridge End Farm Cottages! 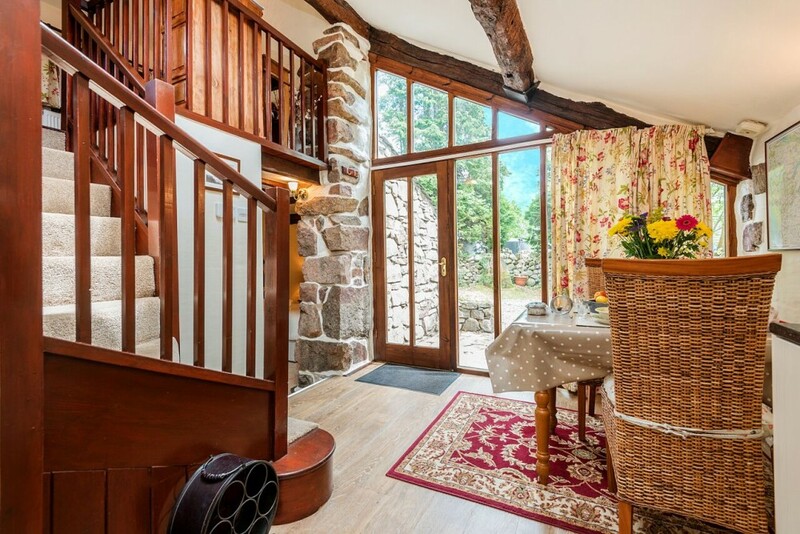 We are aware that guests come expecting an excellent internet connection with high speed wi fi and this has been a challenge in the beautiful Eskdale Valley as there is no fibre optic broadband and the internet uses the phone lines. The service is quite intermittent so we have listened to our guests' requests and, despite the difficulty in getting extra phone lines in the valley due to a shortage of supply, we undertook a three month project to obtain extra capacity. As a result we now have three lines and pay the maximum subscription on each line for the highest band width possible, so that our guests have some of the best internet in the Eskdale valley. There is a choice of three routers with many hard wired boosters strategically located in the cottages to improve the signal in each cottage and overcoming the wi fi inhibiting influence of the thick stone walls! The wi fi is now so much better and our guests can also use the internet for wi fi calling. We thought you might like to see some new photos of all the improvements that have been made to the cottages. We are really excited about how the cottages have been transformed without losing any of their charm and character and we want to share this with you. We are so excited about the total transformation that we are showcasing each cottage and instead of doing this all in one go we would like to show you one cottage at a time. This is our second in a series of seven, which features Stanley Ghyll Cottage. Showcasing Stanley Ghyll Cottage, which sleeps 2. This ever popular cottage has a new marble bathroom and a beautiful large new kitchen. Karndean flooring and a super comfy, 5 star quality, king size bed with matching luxury linen are amongst the many improvements.